← Remote Desktop Gateway SSL Error, or Network Access Protection LIES!!! Regular readers will no doubt be aware of the script i wrote about two years ago to alert a user their password was about to expire. If not, just what exactly have you been doing with your time? In any case, several people have asked me if it can be made to work with Office 365. Using 365 as the email relay to send the messages, was one thing, querying 365 for a users password expiry, was something else. Something which at the time i believe could not be done. Given they constantly release new features and tweaks, i revisited it this week and found that actually it can now be done, with a few tweaks to the original script. 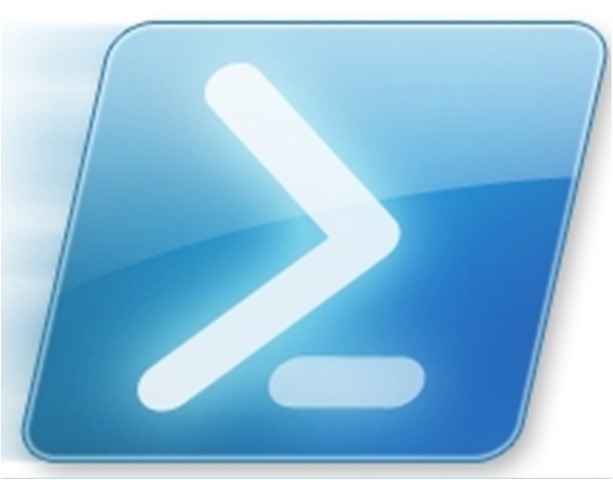 The first changes are that you will need the Microsoft Online Services PowerShell tools. There are various guides on this out there, this is just the first one i hit when writing. Once you have that you can use this code to Connect to Office 365. Those familiar with PowerShell will see i am using the Get-Credential command here, rather than saving credentials directly into the script. Whilst saving credentials certainly makes things easier for scheduling the task, it is a security risk. i am not comfortable with suggesting you store credentials in the script (hashed or encrypted) or showing an example of it. so feel free to investigate that at your own risk. Anyway running the command above, will get you connected into Office 365. We can then find our Users who have passwords that expire. We will also get the Default 365 domain, and the Maximum Password Age. Once we have this info, it is trivial to go through and work out when a users Password is going to expire. The full script of course goes on to include the other items like logging, sending the email etc etc but i just wanted to focus on the Office 365 specific parts here. If anyone would like a copy to try out in their environment please download it from here. Lots of people have requested a copy of the script, thanks for the support! I just want to add this script is for a fully separate 365 deployment. If you have any on premises Domain Controllers, and you are using DirSync (or the current incarnation) then you can use the other script to query your on Prem DCs for Password Expiry info. Also noted recently that a tenant with Azure AD linked, no longer shows a MaxPasswordAge attribute, so this may prevent the script working in the future without some manual tweaks. I tried to incorporate the 365 parts into your old script, but i can’t seem to get it working. Is it possible you could send me the complete script? The script i’m using doesn’t give me any errors but nothing happens anyway. Will you please provide me with the full up-to-date script? we are using Azure AD Sync to sync our AD accounts with Office 365. Do you have an updated script that will allow an Office 365 account to send the email notification to the users? We have no on premises smtp or Exchange servers. Did you ever get this to work in your environment? I have the same environment and would like to be able to schedule the script to send these emails. I would love to get a copy of the final script if possible. Is there a script that would allow our hosted exchange to send the emails? We’re not using 365 (we run apps through Citrix) but I’m guessing the hosted bit might make it a little more tricky of a script. Any thoughts? I guess it depends on the platform your Exchange is hosted with. I would like a copy of the full script. I would also like a copy of the full script, please. Did anybody get a copy of this script? It would really come in handy in MSP world with clients who are less-than-tech-savy. I can send you one if you like. Hi Robert, please send the script through to me also. Cheers. Got it! Thank you Robert! Can You send the final script to me too? Can i get a copt too? I would love to have a copy of the script. We have many off site clients that are on their mobile devices and never get a notification that their password is going to expire. Could you please send me a copy when you get a chance? Would like a copy as well! Kindly forward me the full script too. Please could you send me a copy of the script, this sounds excellent! Please send me a copy too. Thanks! Hi, can you send me the full script? Link doesn’t work anymore. Robert, can you supply me with the script please? Reading above I think this will help me a lot. Link is still working for me? Robert, I’ve tried both links in the article and I’m not able to download the script. Do you have a new link available? I can set one up yes. Link is not working anymore. Can you update it and share with full script? Thanks! Dear Robert, could you provide me a link for downloading the script. The links above don’t seem to work anymore. Thanks in advance. The link you provided on 4 May 2016 is no longer work. Can you please provide another link or you can email me? The link you provided no longer works. I have an immediate need for this script. I stumbled across your site and I have found a lot of help on some things. I really appreciate your contributions. I found a couple of issues in your script. I made some modifications to correct the issues and am including them below. You may want to update your script. First, for whatever reason, Microsoft changed the ConnectionUri. “-liveid” should be added in the Uri. The script will run without this, but you get a bunch of warnings in your PowerShell window. I hope these changes help everyone else who uses this script. I have been trying to get some kind of PowerShell script like this to work for some time. Robert, I really appreciate your putting your script out there for us. Thanks, it’s quite an old script now and they seem to update 365 daily these days with new requirements! Since I’m not an expert at PowerShell scripting, is there someone willing to help me debug some errors I’m getting? I’m using this scripts with Brian modyfication. Unfortunetelly in testing mode scripts runs with warnings but in log file I have only headers nothing else. For sure i have account that password will expire soon. How to verify if expire date is properly calculated? How to chech if this script check all my users ? Maybe this is problem with locale or date format? I have polish regional settings. Files was created, but is empty. Could You point me what to do next? I believe you solved this using -all ? Yes, -all solved problem with users. $maxPasswordAge to constat value – and now it seems to be working with user from all of my 3 domains. Unfortunately something is wrong with “my” script now. I need help with Your script. If I test it on my test tenat (with one domain) is working fine. When I lunched it on tenant with 3 domain it shown nothing…. Help me please to debug problem. I’m trying to set this up, and have an issue with the smtp exception… we only use Office365 in the cloud, and it requires a secure connection. Suggestions on how to make this work within our environment so it sends the mail? It gives the error on line 110. What value are you using for your smtp server? I actually figured it out. I needed to put in the smtp I use for configuring my non-tls devices. Thank you for this! It helped me sort out a HUGE issue today. Powershell is definitely the friend of the Office 365 Admin! Can you send me the script you have for the DIrSync version? Are you using Azure AD? Link from OneDriver dosent working (redirect to https://onedrive.live.com/?v=error&type=linknotsupported). Could You corect it or send me copy of script directly to my email please? I have updated the link in the post. Inside this file is “Version 1.3 Jan 2015” is it OK?